Big sporting events were meant to be watched with a group of people. There’s nothing like a big play happening, high fiving a stranger and everybody cheering together. A sports bar would be ideal, right? At least in Memphis, it’s wrong. 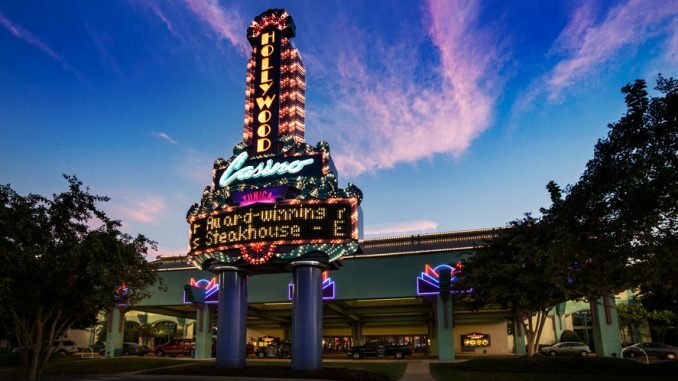 Not with Tunica, MS’s slew of casinos a short drive away, and 6 new sports books waiting for you. Back in October, a few friends and I discussed purchasing the UFC 229 McGregor vs Khabib fight, and then decided it would be more fun to make a night of it, as college football had some interesting games leading up to the big fight. We decided on either a sports bar, or heading down to Tunica to visit one of the new sports books. 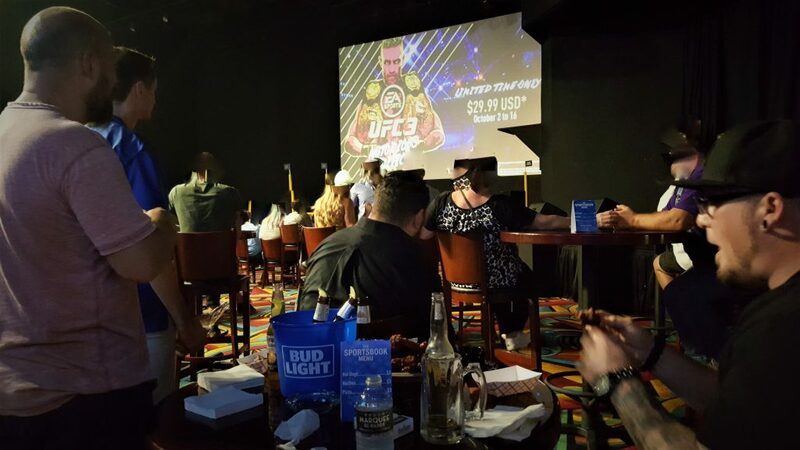 We did the research to see where the fight was being shown, and decided on Hollywood Casino, where they have the largest big screen in Tunica (12′ x 24′), 10 additional TVs, and a slew of great food deals. And when I say great food deals, I’m not kidding. Saturdays and Sundays they have $.50 cent wings and $12 buckets of domestic beers. Not to mention things like $3 personal pizzas, $3 nachos, $2 hot dogs, fries, etc. Perfect bar foods. We fed a group of 6, with leftover food to spare, for around $45. And the food was actually REALLY good, along with the service. To say the least, we were very happy with our decision. 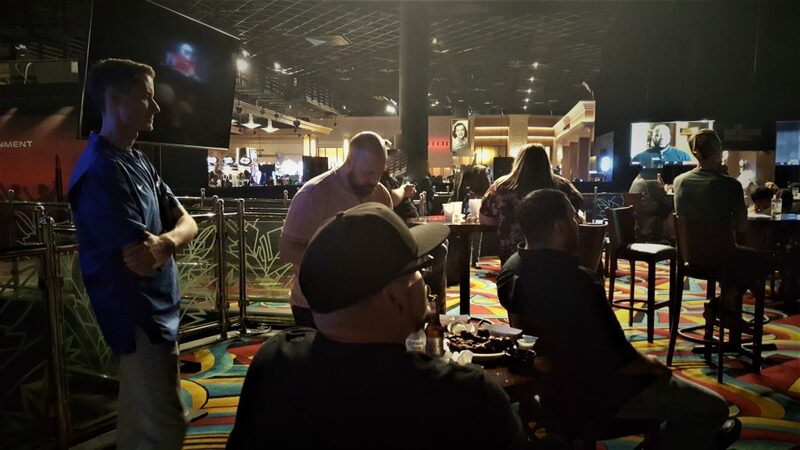 Hollywood Casino is one of the best places in the Memphis / Tunica area to go out and enjoy a big sporting event, especially a big UFC or boxing match, along with football, basketball, etc. 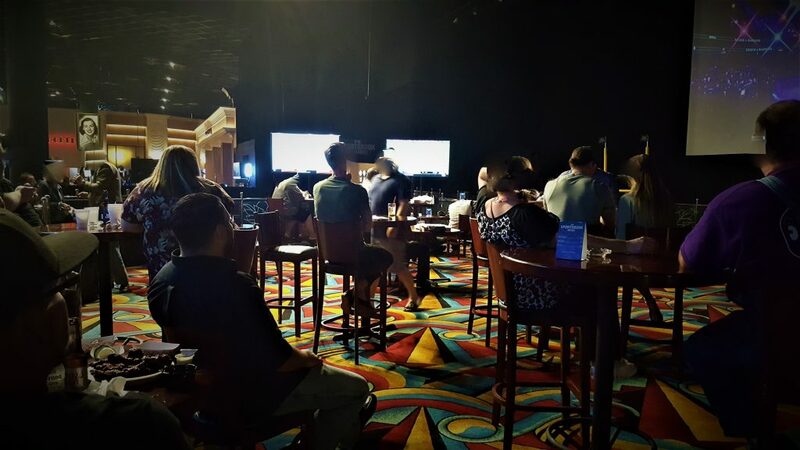 Next time you’re in Tunica, go check out their sports book, which is connected to the Stage Bar area, and sit down, watch a game, and order some wings! You won’t be disappointed.